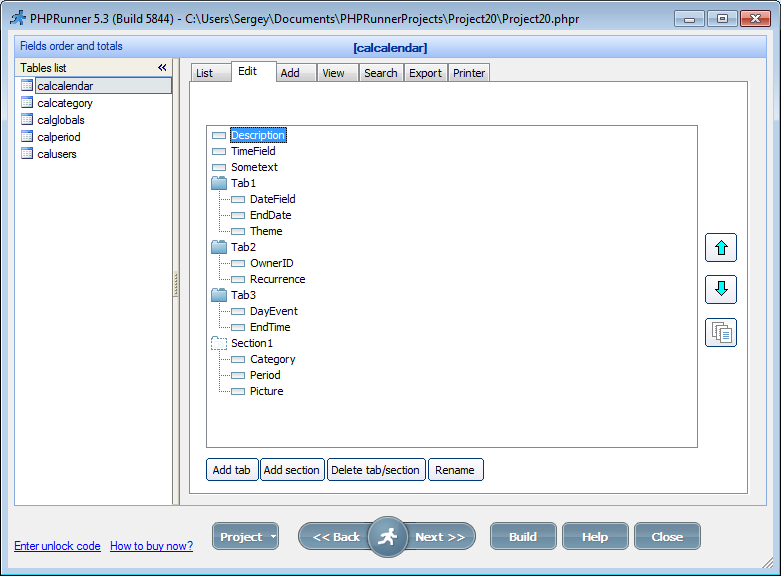 We are proud to announce the release of PHPRunner5.3/ASPRunnerPro6.3. This upgrade is be free to all customers who purchased ASPRunnerPro/PHPRunner less than one year ago. All other customers will be able to upgrade to new version for $99. If you purchased PHPRunner or ASPRunnerPro less than one year ago and haven't yet received your key open a ticket at http://support.xlinesoft.com/ sending your order number to get a new key. There is no need to uninstall the previous version of ASPRunnerPro/PHPRunner or beta version. Just download and run installation package accepting all defaults. If you forgot your download password contact support team supplying your order number to get one. We have also updated Enterprise Edition. New features include free form SQL queries support including stored procedures. Note: if you are upgrading from the previous version of web reports you need to create one more database table. To do so proceed to SQL directory where PHPRunner or ASPRunnerPro installed (i.e. C:\Program Files (x86)\PHPRunner5.3\SQL ) and execute webreport_sql.sql file against your database where web reports were installed. ReportsMaestro (standalone web report/chart builder) was updated as well. New features include custom SQL queries support and regional settings support (date formats, currencies etc). To turn this feature on proceed to 'Choose pages' screen and click '...' button next to 'List page'. 3. New 'View as' types 'Video' and 'Audio'. 'Edit as' type can be either 'Text field' (enter video/audio file name there) or 'File/Image' (upload files). Audio files playback is provided by Yahoo! media player. This player is really nice though it has some limitations (it's a beta version, doesn't work well in IE/Chrome, requires Internet connection to work). Most probably we'll have to switch to another player for now. 4. A number of improvements related to huge (hundreds of tables) projects support. Faster loading, partial rebuild. 5. Totally revamped events editor. 6. Search options for fine search tuning. 7. Export/import multilanguage labels to CSV to edit in external editor. You can enter SMTP server parameters under Security->User Login Settings. 9. Audit log events. Turn on Audit function and check 'Before audit log' event. 11. Allow to enter different connection settings for dev/production environment. Proceed to the Output screen to see how it works. 12. Option to access field values in BeforeDisplay Edit/View. Will be available in final version. 13. Option to modify start/end year in date dropdown box (per project). Proceed to any date field 'Edit as' dialog to setup this. Option to set default number of digits after comma for all numeric fields. Proceed to any numeric field 'View as' dialog to setup this option. 14. Auto-fill several fields on Add/Edit pages with values from lookup table. Set any field 'Edit as' type to 'Lookup wizard' and click 'Autofill' button to add fields to fill automatically. 15. Edit control tooltips on Edit/Add pages.